The Bad: He looks too shiny, like a lacquered toy store basketball. 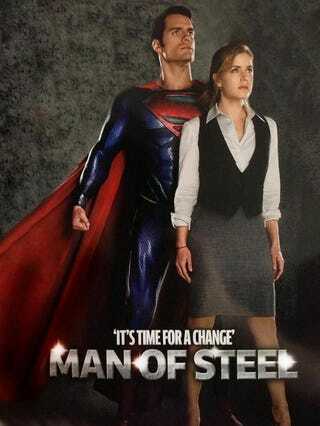 The Good: The Superman and Lois part. It's a good strong pose, instead of the usual romantic shot everyone likes to put on the front of a magazine. It gives Lois more strength as she's standing on her own looking forward with him, whereas her pressed up against Superman's chest or embracing him puts her in more of a damsel position. She's an individual person, instead of an accessory/B plot romance. That's refreshing.